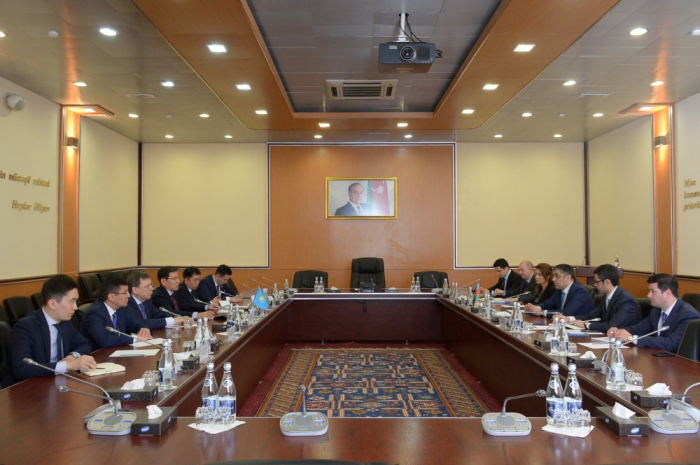 Azerbaijan and Kazakhstan have discussed cooperation in the field of communications and high technologies as Azerbaijan`s Minister of Transport, Communications and High Technologies Ramin Guluzade met with Kazakh Minister of Digital Development, Defense and Aerospace Industry Askar Zhumagaliyev. The sides exchanged their views on the current state and prospects of cooperation between the two countries in the sphere of communications and high technologies. They also discussed the project Trans-Eurasian Information Super Highway (TASIM), as well as creating synergies between startup projects of Azerbaijan and Kazakhstan that are competitive in global markets, implementation of joint projects, organization of study visits.